The general impression of the vintage is certainly ripe. There was scarcely a taste of herbaceousness in any of the wines. But it is not over ripe. With a handful of exceptions of wines made in an overtly “international” style, the wines all fell within the parameters of traditional Bordeaux: fruits supported by good acidity, a tendency towards the savory rather than the forcefully fruity, some tannic support showing its bones on the finish. The baby fat of the barrique has lessened to reveal refined structures. As many of the wines showed a restrained austerity as showed overt opulence. In no case was high alcohol oppressive, although I did not have the opportunity to perform a reality check by seeing how an entire bottle would drink at dinner as opposed to tasting in a glass. But almost all seemed to be “food wines” in Bordeaux’s traditional pattern: most were well balanced, few were overblown. Descriptions of the vintage en primeur made it seem that traditional communal differences might be obscured by the rising tide that lifted all fruits to higher and higher levels of ripeness. But not a bit of it. The wines of Pessac-Léognan tend to show a smoky quality of cigar box, very classic for Graves, the Haut-Médoc has firm fruits with acid support, Margaux comes off just a bit more elegant, with refined fruits sometimes showing a faintly herbal impression, and St. Julien shows that precise delineation of tight black fruits. Pauillac was less typical for me, sometimes showing a slightly hard edge that is more what I usually associate with St. Estèphe. There were too few St. Estèphes in the tasting really to get a bead on its typicity this year, but the style seemed quite traditional. Over on the right bank, the best St. Emilions seemed to be displaying more the fine-edged richness of ripe Cabernet Franc than the Merlot, while Pomerol tended to full blown ripe Merlot, the one area that lived up directly to the reputation of the vintage. In each commune there were wines that typified its classic character and wines that abandoned tradition to go for broke in the modern style. In Pessac-Léognan, Château Carbonnieux showed classically smoky cigar box notes; this is a château that I usually regard as an under performer, and indeed I do not think the 2009 will stand up in the long term, but it’s a textbook illustration of Graves out of the box. Domaine de Chevalier is a much better wine, but at this point is really restrained: when it comes out of this phase, it will be a classic. It is surely one of the most refined wines of the appellation. In the Haut-Médoc, Château La Lagune seems more traditional than some of its other recent vintages; good acidity supports elegant black fruits, with a touch of vanillin on the finish. My pick for a quintessential Margaux is Château Desmirail: a slightly savory herbal impression brings precise elegance to the black fruits. This may not be an especially long lived wine, but right now it is nicely displaying the delicacy you expect from Margaux. Prieuré-Lichine turned in a classic performance this year also. Rauzan-Ségla’s impression of precise elegance seemed as much to represent St. Julien as Margaux. As for St. Julien, Château Léoville Barton typifies the commune. There’s a very fine impression on the palate with fine-grained tannins supporting the elegant, precisely delineated, black fruits. The underlying support promises long aging. Gruaud Larose in a richer style that separates it from the old vintages under Cordier, brings St. Julien into the modern era without losing communal character. The fascinating comparison in Pauillac was between Pichon Baron, to which I give the nod as typifying the commune, and Pichon Lalande, which is more typical of the reputation of the vintage. Pichon Baron shows full force as a super-second, with intensity and depth of fruits, yet held back and constrained by its firm structure, very much the iron fist in the velvet glove. Pichon Lalande is softer. In St. Emilion, Château Canon La Gaffelière edged out my perennial favorite, Château Figeac. The profile of the Canon La Gaffelière seemed to be driven more by Cabernet Franc than Merlot, with faint savory notes bringing complexity to layers of precise black fruits. (There was also some Cabernet Sauvignon in this vintage.) This will become a finely nuanced wine with age. Figeac is more overtly restrained than usual, but with a fine balance that should support longevity. 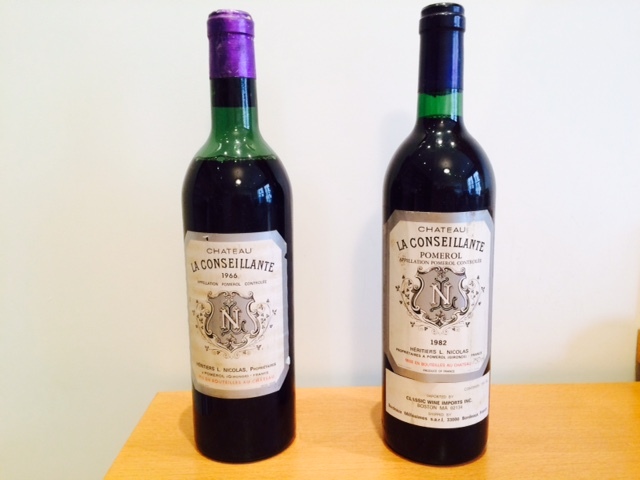 The standout in Pomerol is La Conseillante, which is opulent and rich, yet with enough structure for aging. Some wines defy easy localization. Made in the modern style, they are excellent wines in their own right, likely to appeal to consumers who also enjoy top-end New World wines, but for me they no longer represent their communes. Château Pape Clément is a top notch wine in this vintage, with deep, smoky, black fruits leading into chocolaty tannins on the finish: but does it have the character of Graves? Château Smith Haut Lafitte seems also to have moved a bit in this direction in this vintage. In the Haut-Médoc, Château La Tour Carnet is edging in this direction, as is Château Cantenac Brown in Margaux. In St. Julien, Château Léoville Poyferré shows restraint on the nose, but then chocolaty black fruits display a very modern palate: no one could quarrel with the quality, but how does it typify the elegance and precision usually associated with the commune? The overall impression of the vintage is far more traditional than would be expected from the en primeur reports. 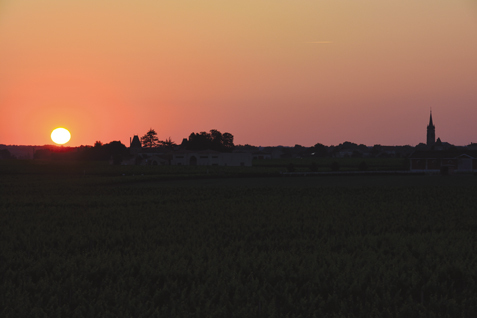 The wines are unmistakably Bordeaux in their freshness and aromatic profile. In a word, they have a lovely balance. Quite often the ripeness of the fruits does hide the tannic support, and the vintage is not as obviously destined for very long aging­ as some others – I would be inclined to think more in terms of 15 years than 20 or 30 years. Most of the wines will be ready to start drinking in about three years. Bordeaux has a surprising capacity to recover its character from warmer vintages; the 1982s, so lush and opulent when they first appeared, reverted to type after two decades and now often show a lovely, savory balance with that slightly herbaceous delicious edge. Will the 2009s behave in the same way? It’s a great vintage, but stylistically in line with the precedents of 2000 or 2005, not totally off the charts as many reports would have suggested. The Vintage of the Decade – perhaps? But not, I suspect, the Vintage of the Century.